Do you know what immigration detention is? Do you know what it feels like to be locked up in a prison-like building, not knowing when you are going to be released? Do you know what this does to human beings, their families and communities? Immigration detention is one of the biggest human rights scandals in the UK. The majority of people in the UK remain completely oblivious to what immigration detention is, to the fact that people can be detained indefinitely, and to how damaging it is for those affected. Many have been campaigning against it, yet the pace of change is slow. The simple truth is this. Unless you have been detained, or you know somebody who is, you are very unlikely to ever visit an immigration detention centre, know where they are, or be able to imagine what it is like to be locked inside without knowing when you will be released. Unlocking Detention shines a spotlight on the hidden world of immigration detention. 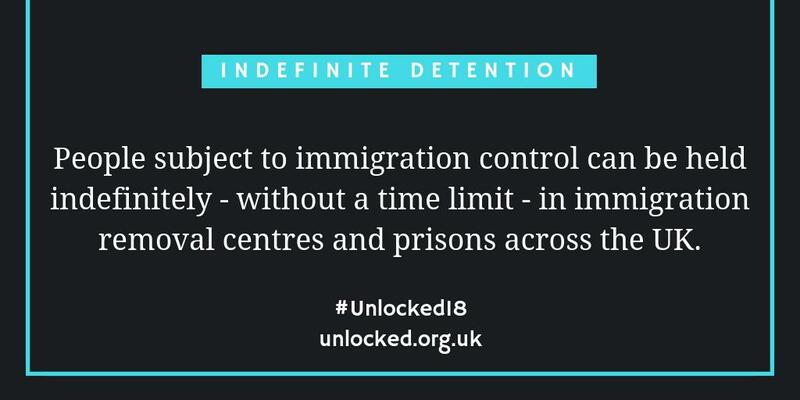 This ‘virtual tour’ of the immigration detention estate uses Twitter, Facebook and a website to ‘unlock’ the gates of immigration detention centres. This year’s ‘tour’ runs from 22 October to 18 December 2018. Each week, Unlocking Detention ‘visits’ one of the UK’s detention centres. 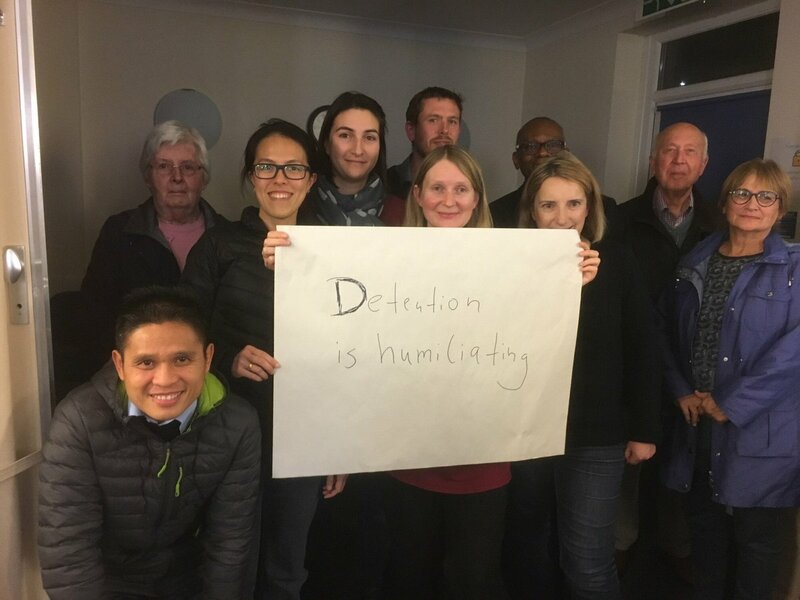 We hear from people who have been detained there, volunteer visitors, NGOs, campaigners and the families, friends, neighbours and communities over whom detention casts its long shadows. The UK is the only country in Europe that does not have a maximum time limit on how long someone can be detained. 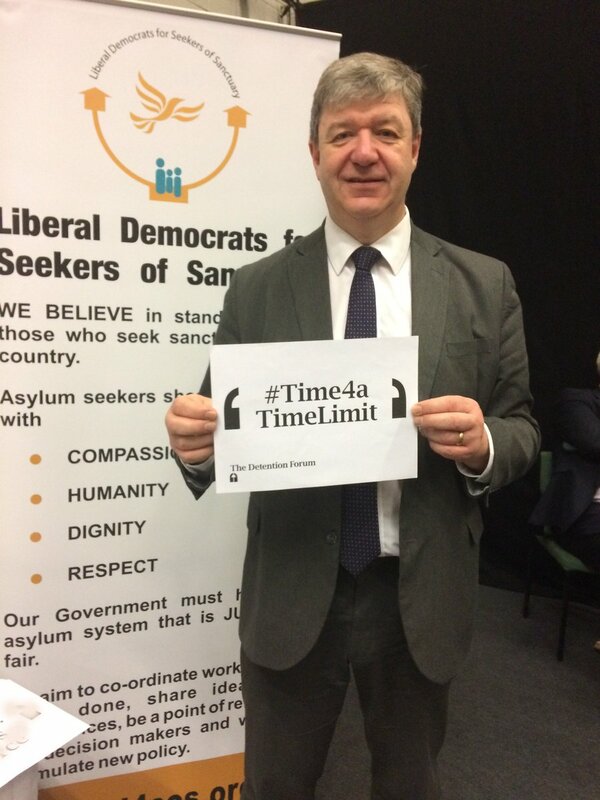 Indefinite detention has a severe, damaging impact on those who are subjected to it. In 2017, 27,331 people entered the detention estate for. Some are detained for months, and even years. People held in immigration detention are isolated and hard-to-reach. They may be held in a centre (in prison-like conditions) hundreds of miles from where they were living, far from any city, with no public transport available. The system isolates people – and detention as a policy issue is often very remote from the minds of most members of the public. We need your help to fight this “out of sight, out of mind” policy. People should be in the community, not in detention.